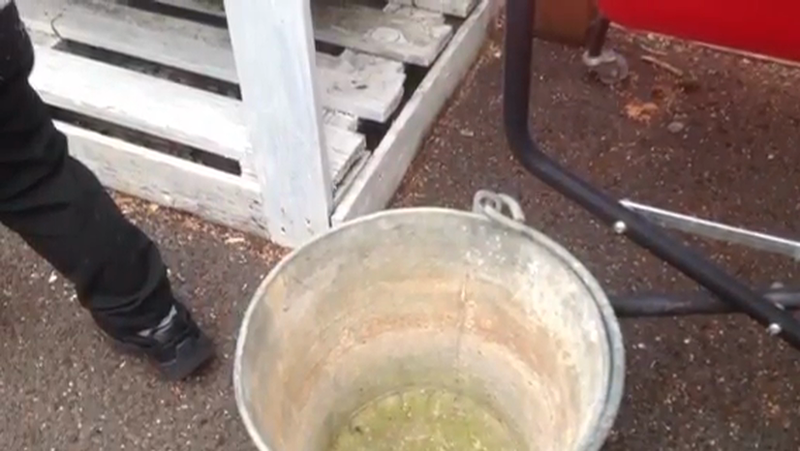 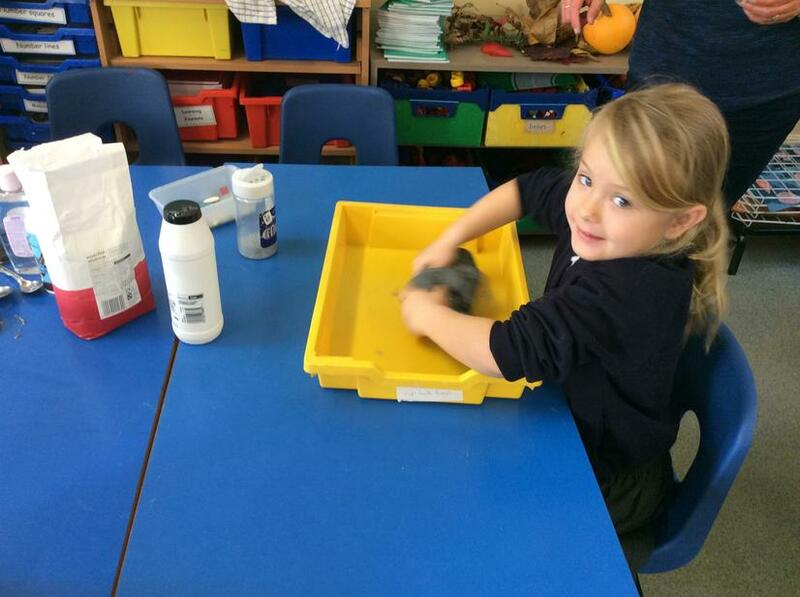 We had a phone call from a Mr Bear asking us to investigate the theft of some porridge. 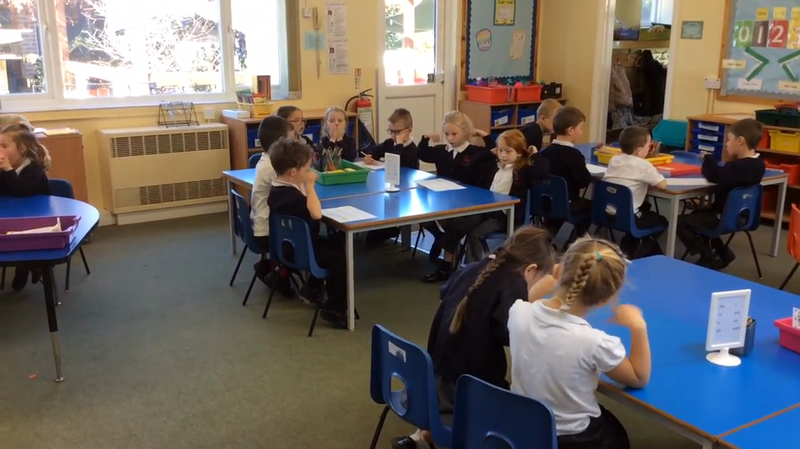 We made iMovies of the evidence. 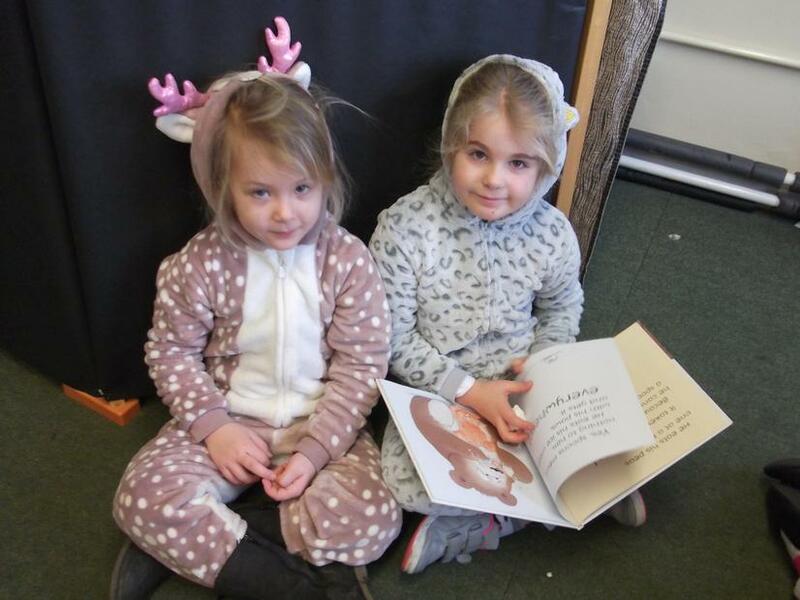 We were able to read the story of Goldilocks and the Three bears after learning the story off by heart with lots of actions. 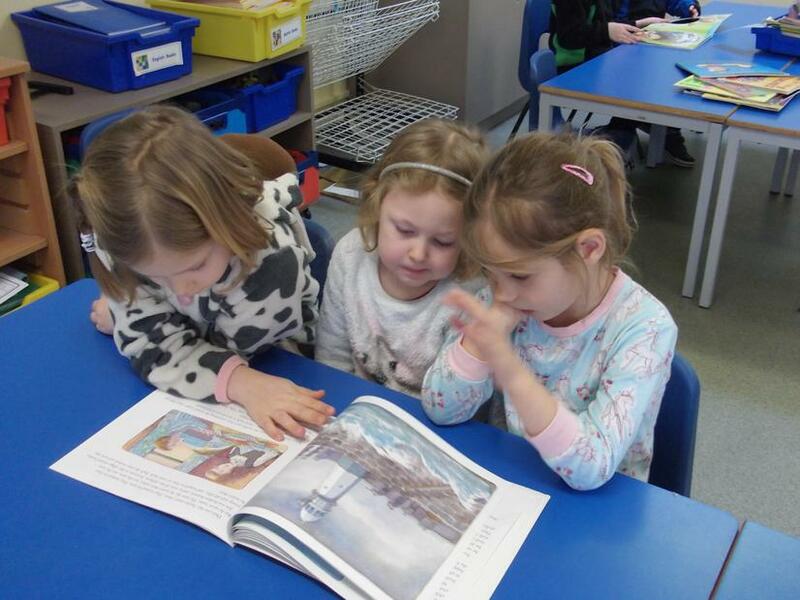 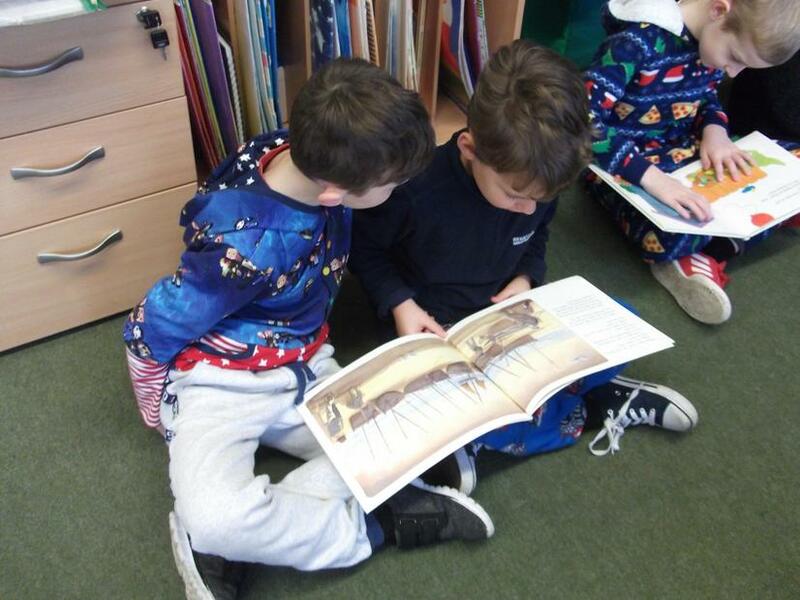 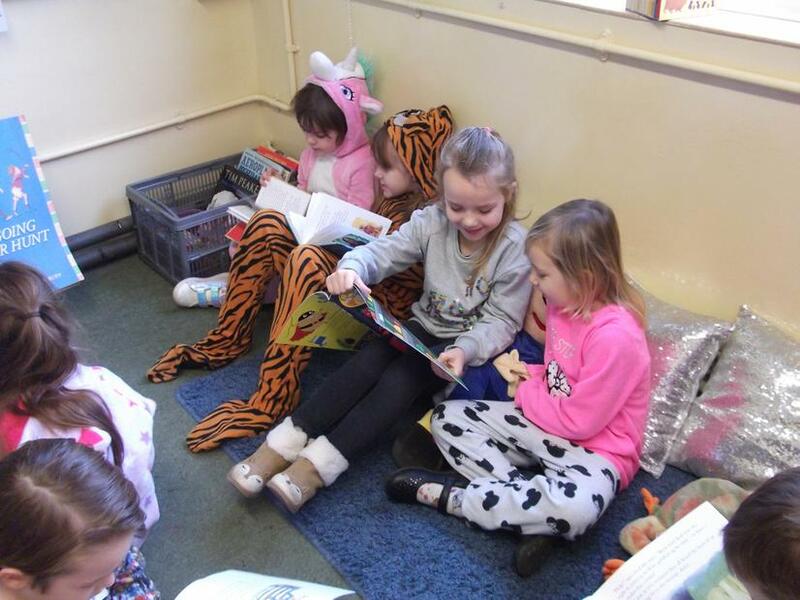 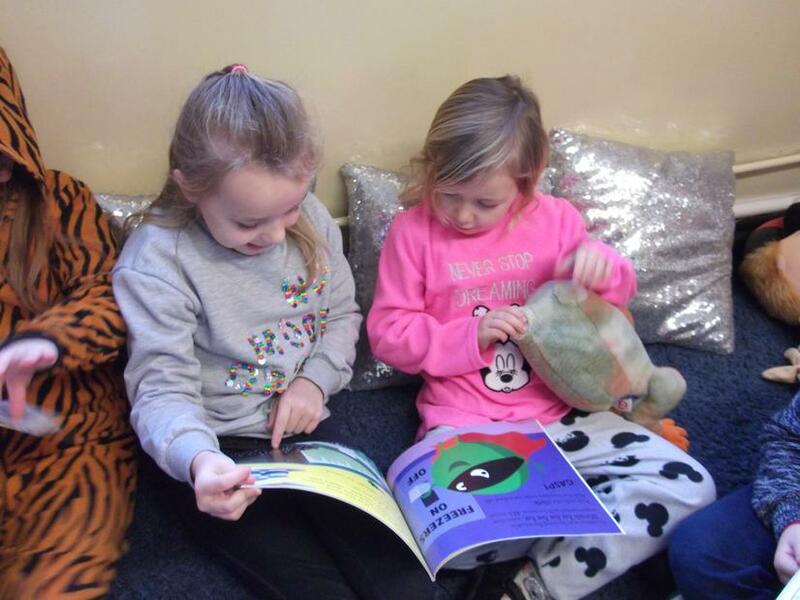 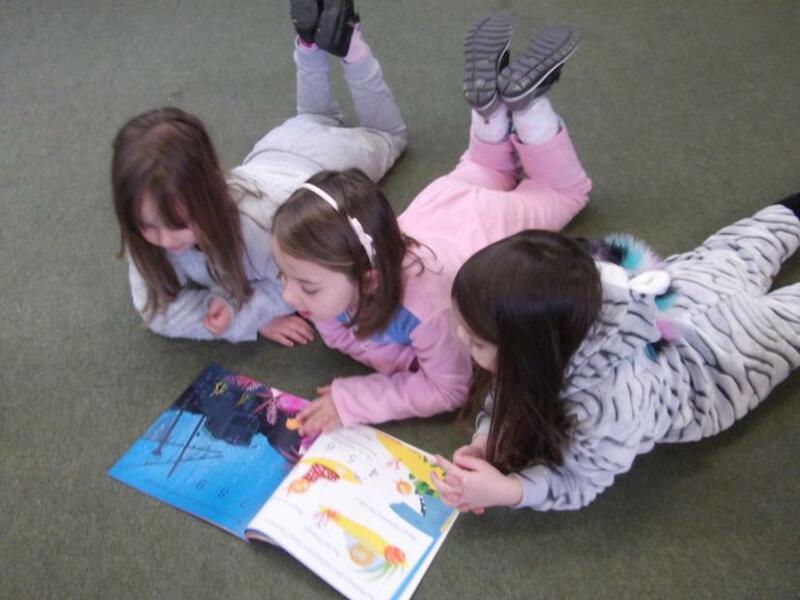 Here we are reading the story to each other. 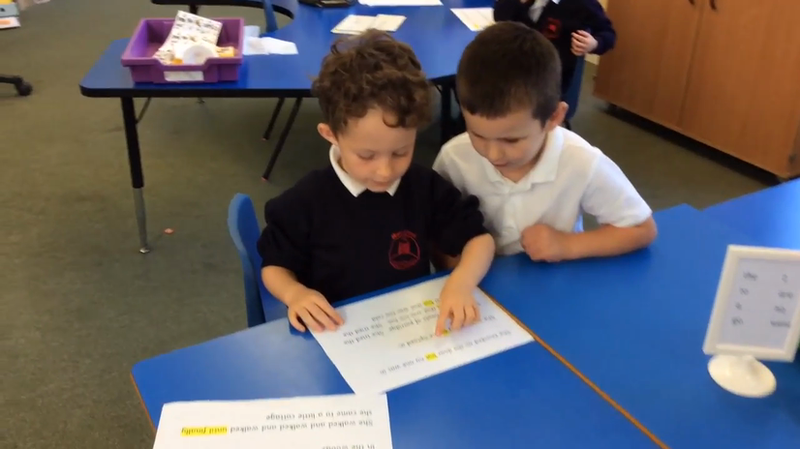 We can see all the important words that connect our ideas are highlighted in Yellow. 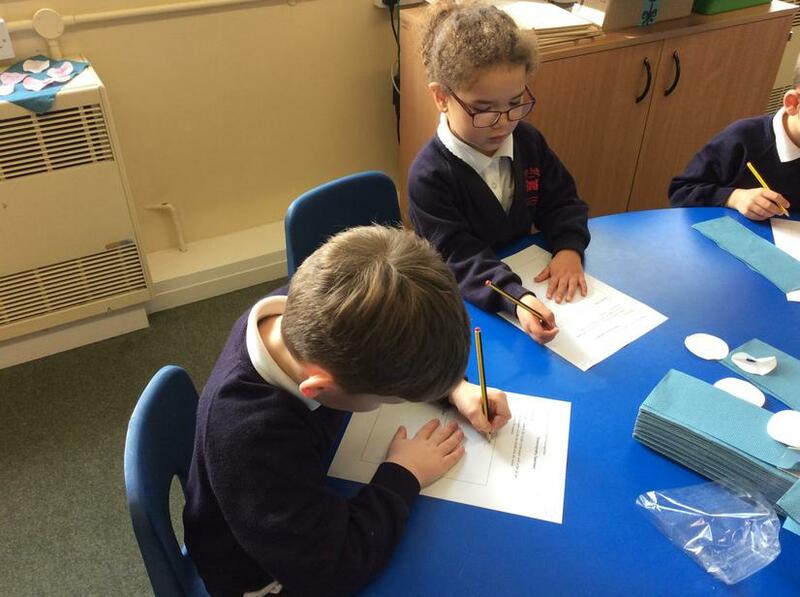 These are the words we need in our own writing. 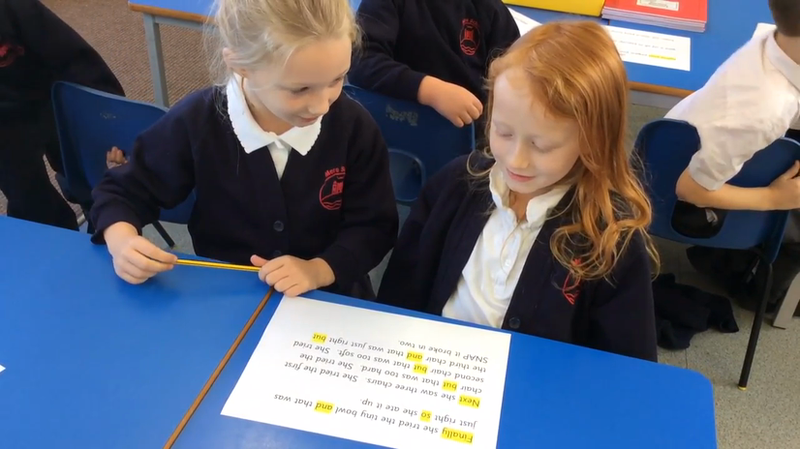 We worked out some really tricky words by looking at the first sound then using our knowledge of the text. 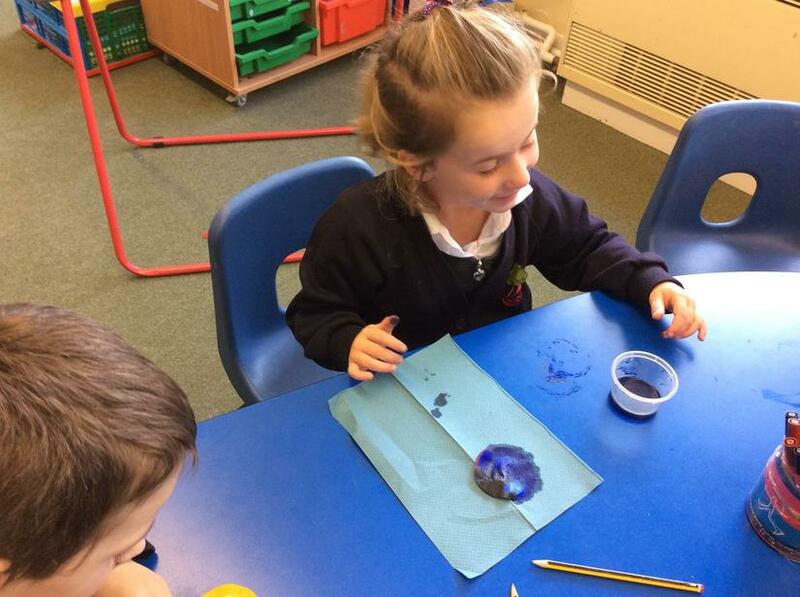 We made poppies and wrote 'Thank You' on green leaves. 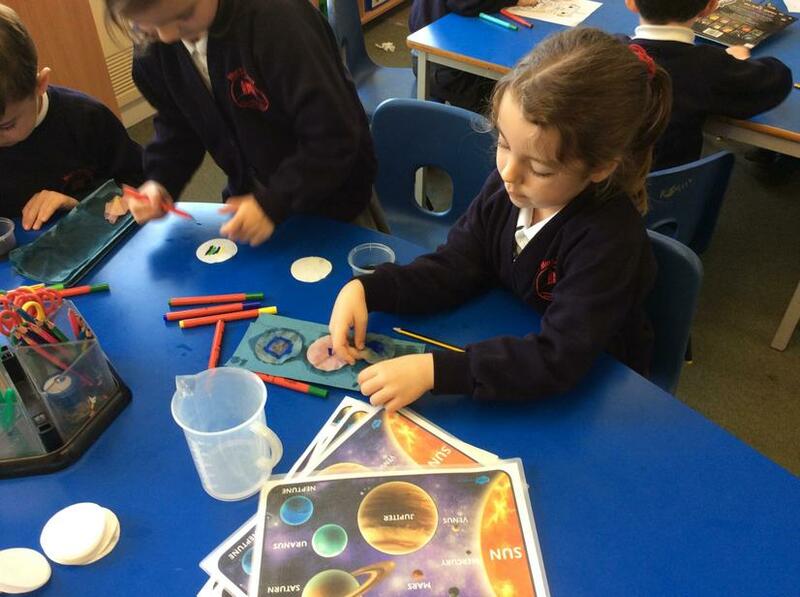 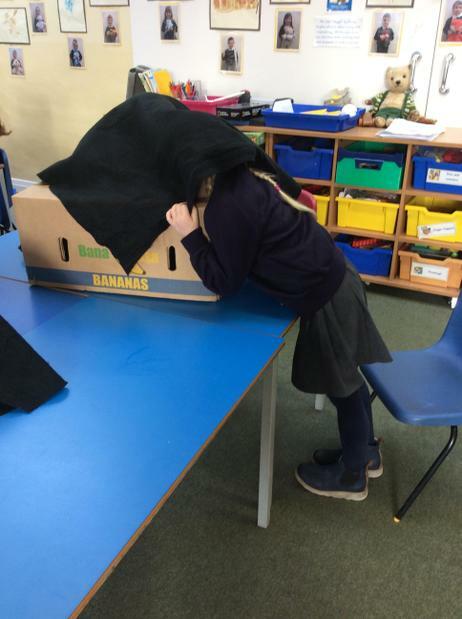 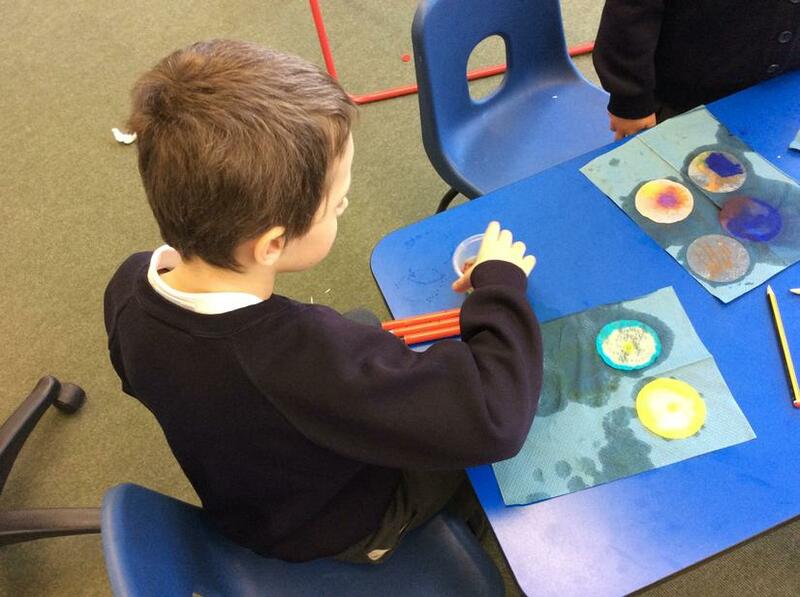 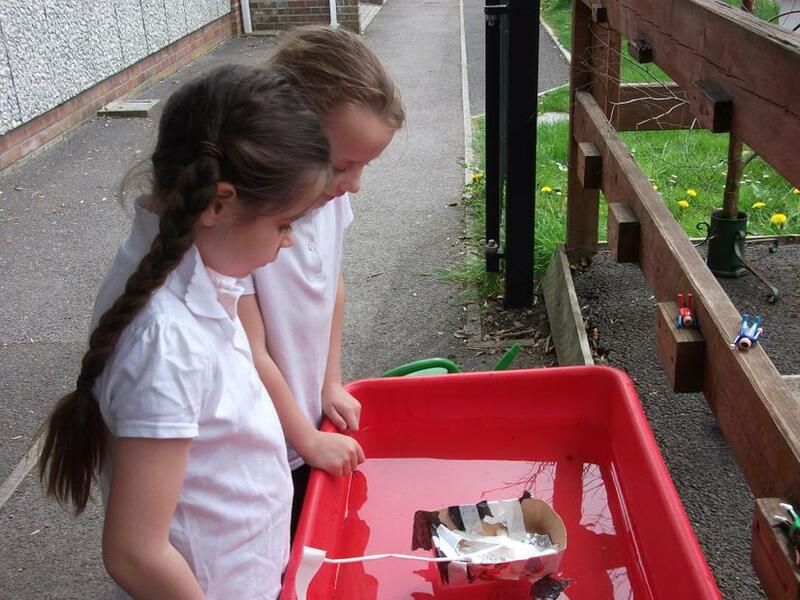 We had an exciting day experimenting with different materials and recording our findings. 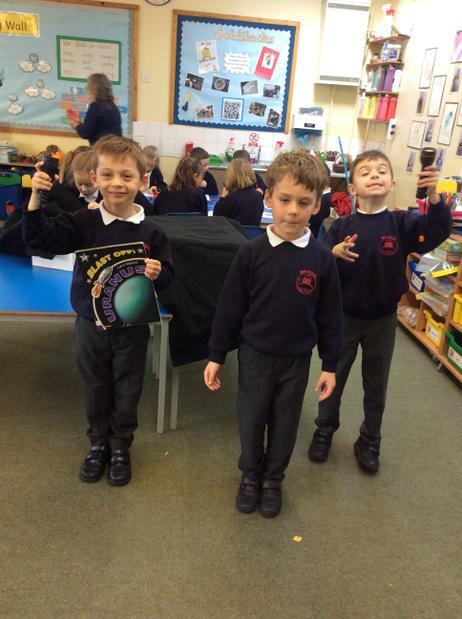 We have used the amazing new Green Screen technology to record a poem we have learnt off by heart. 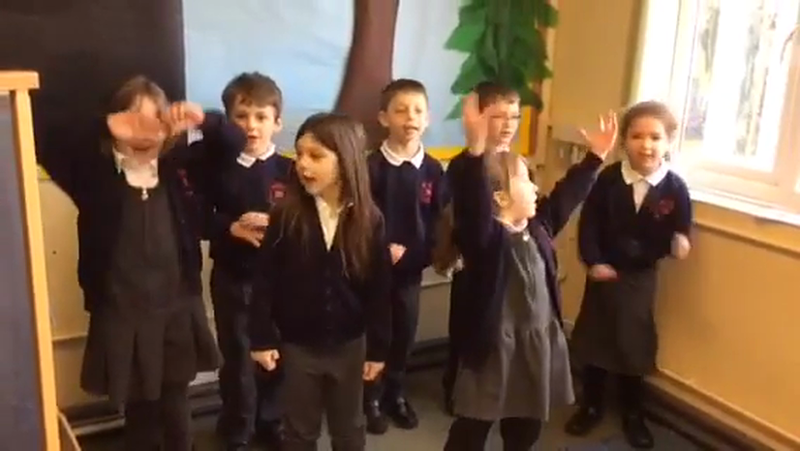 Press the link below to see our performance. 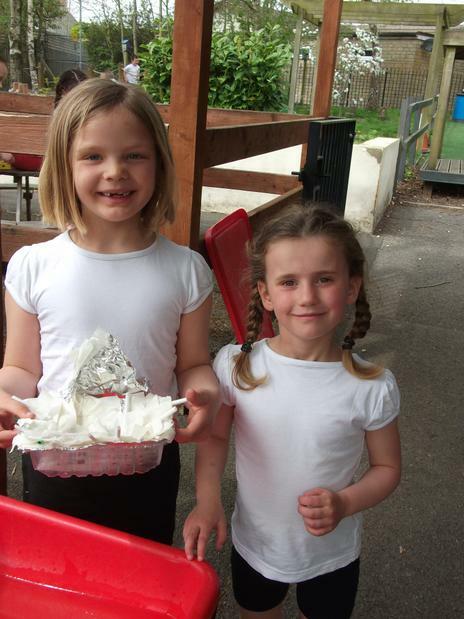 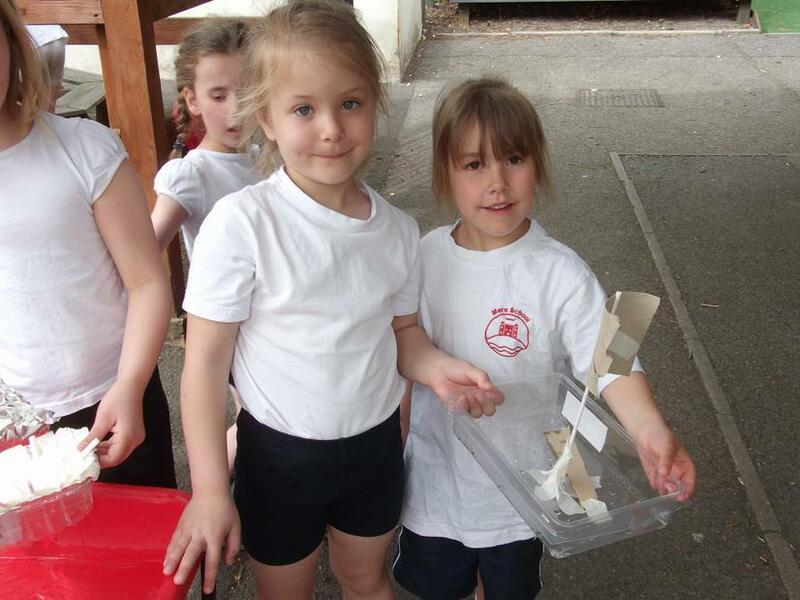 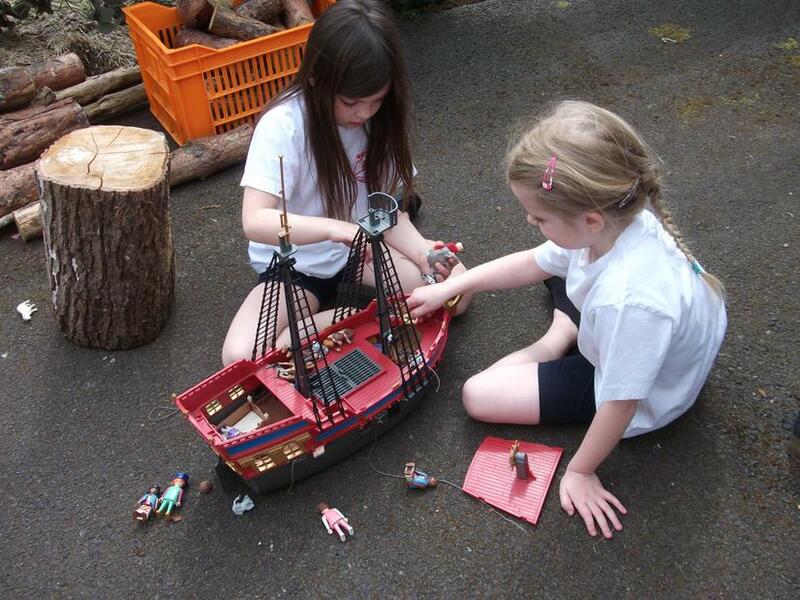 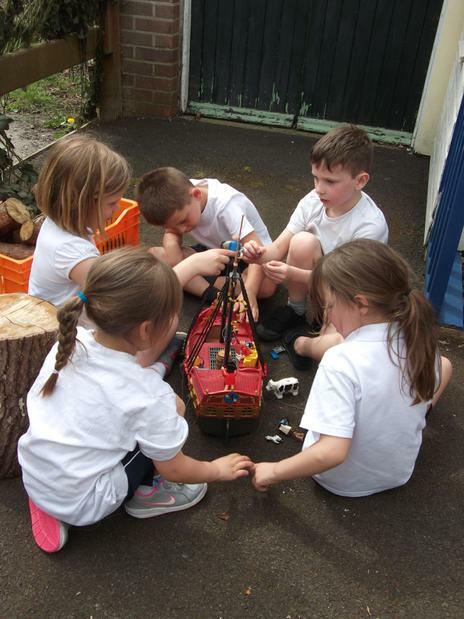 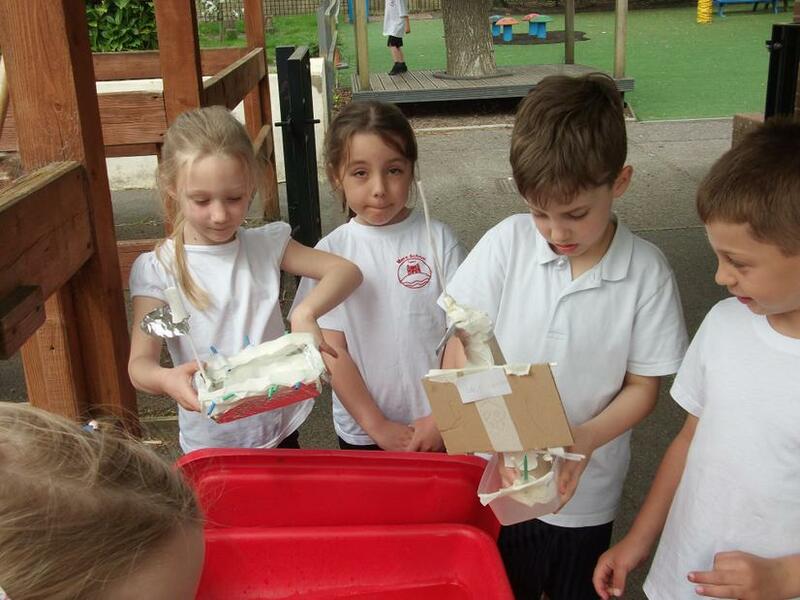 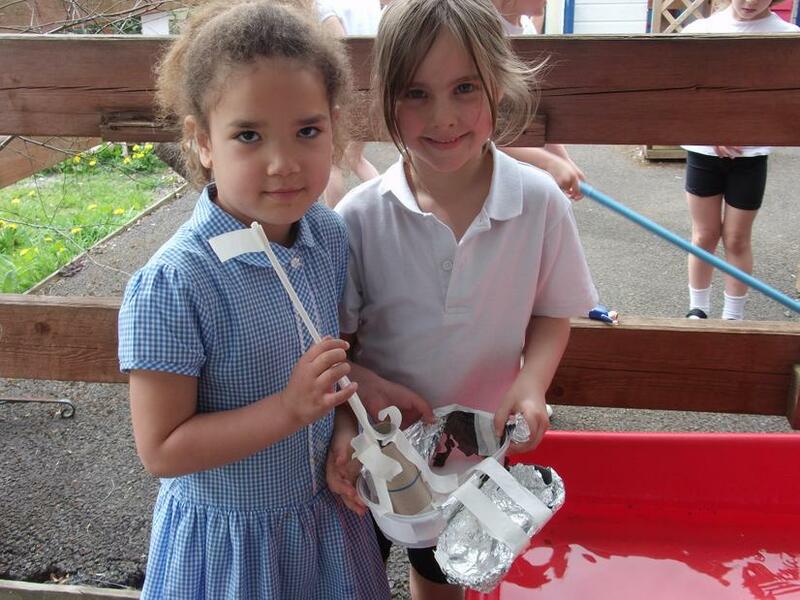 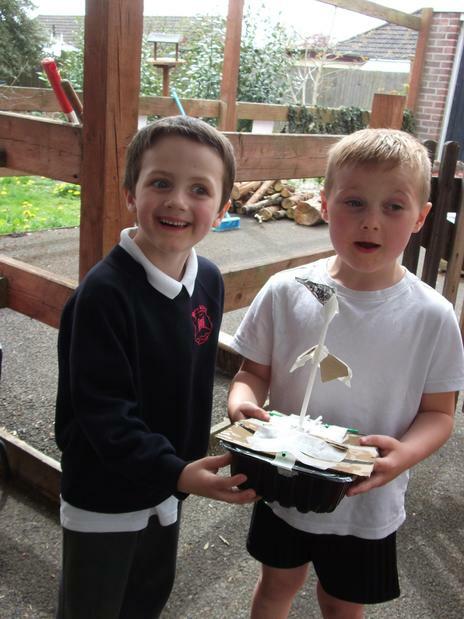 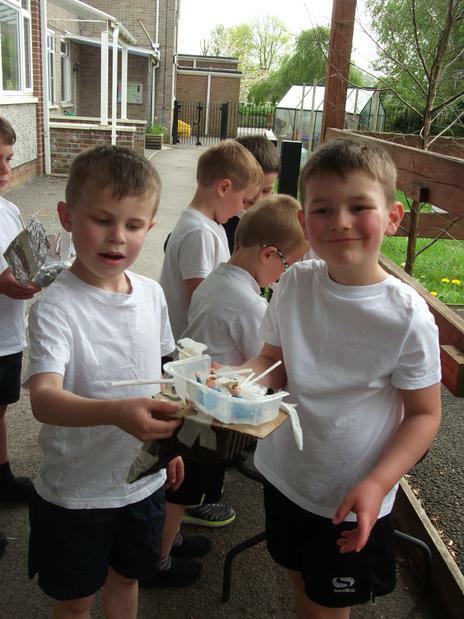 At the end of last term we made boats out of junk modelling materials. 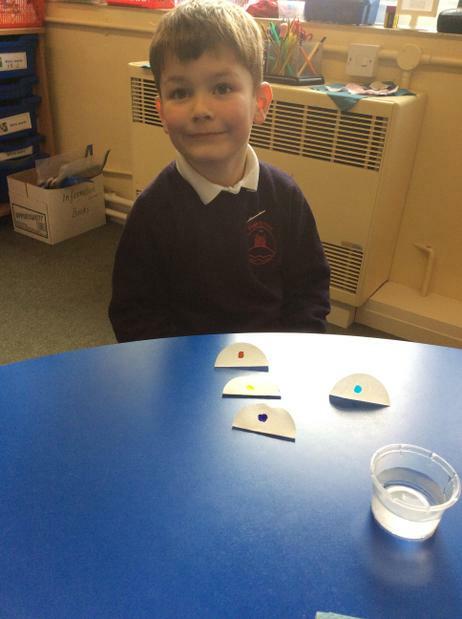 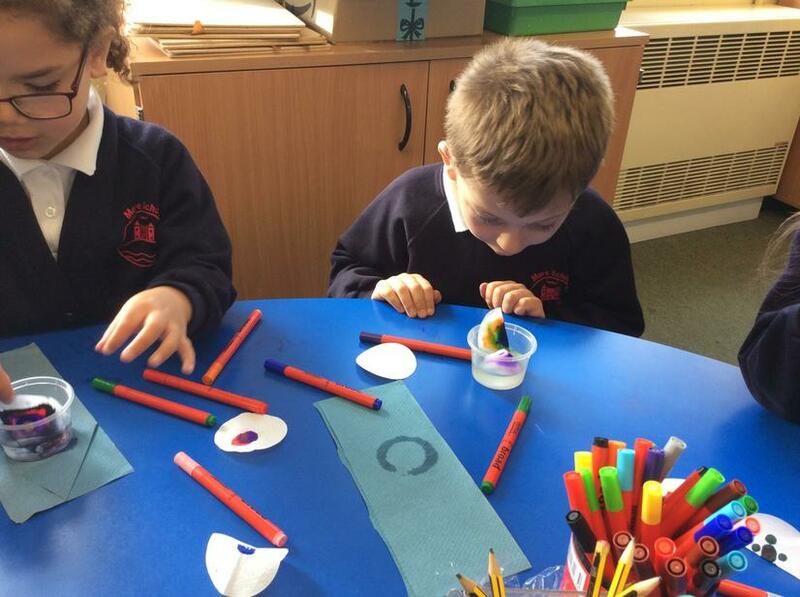 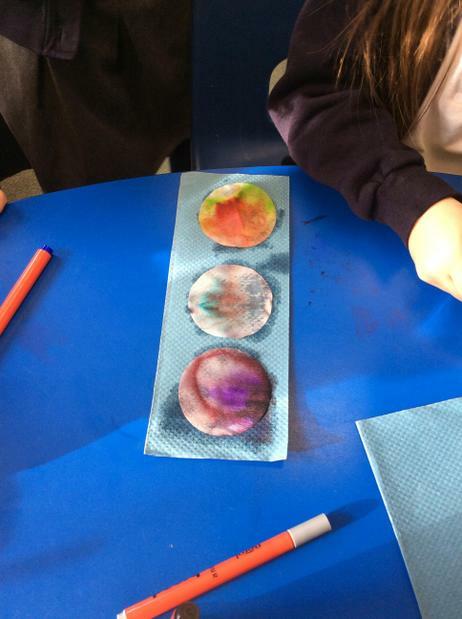 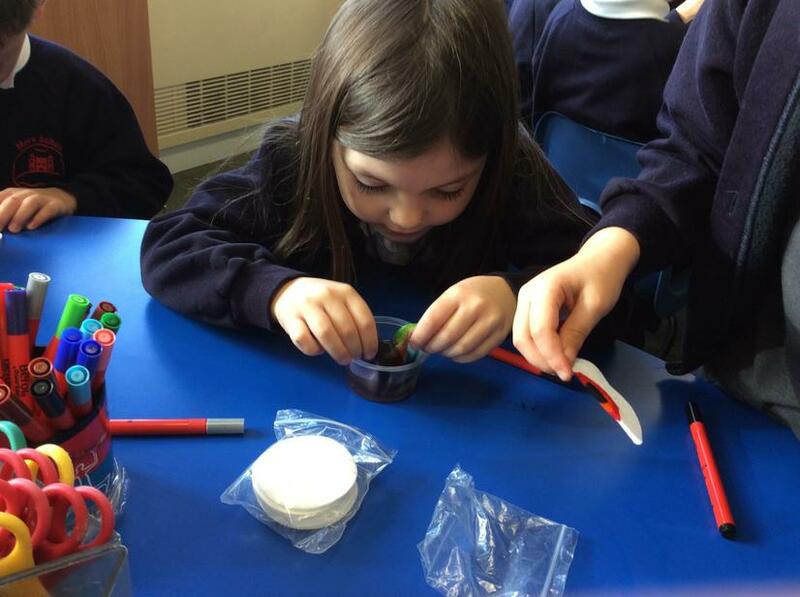 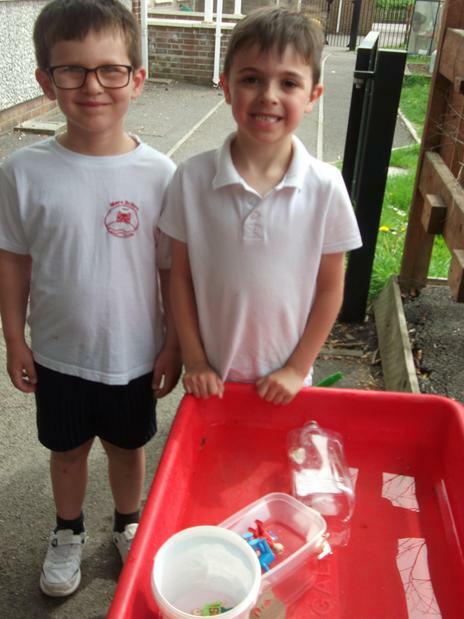 We linked this with our Science Curriculum as we had experimented with waterproof materials and our History which was all about Christopher Columbus. 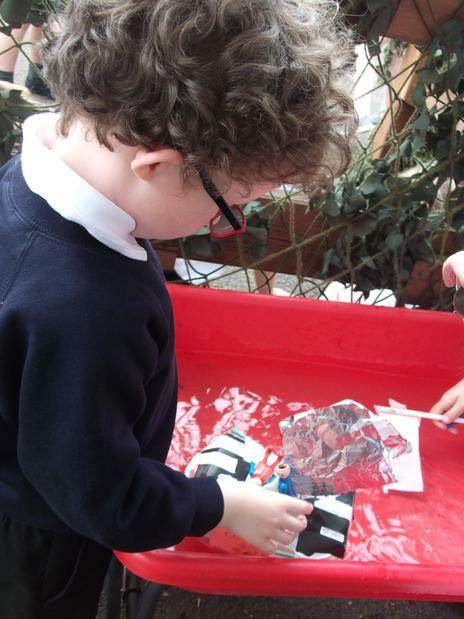 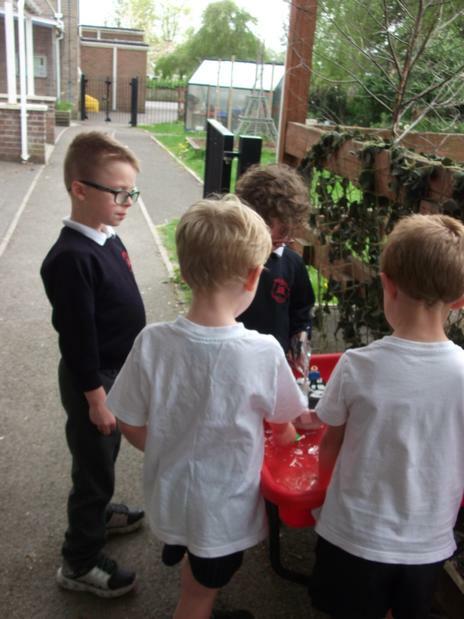 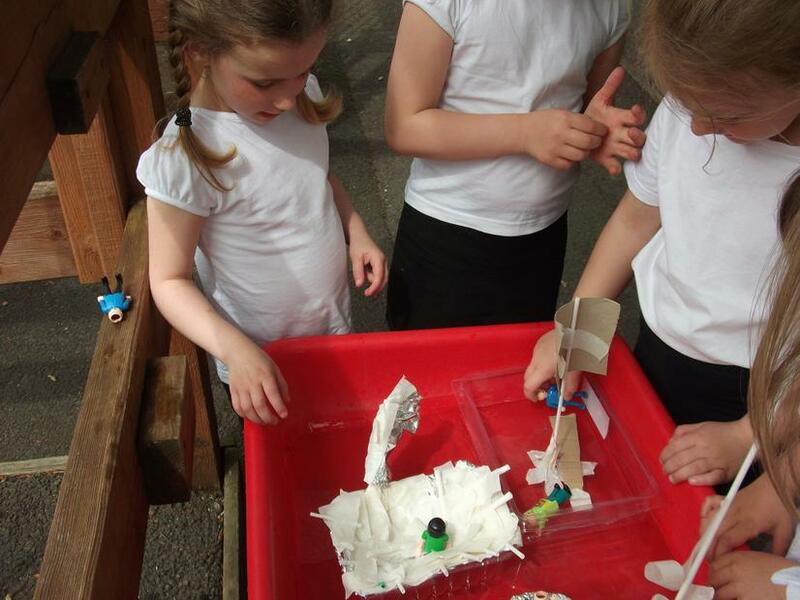 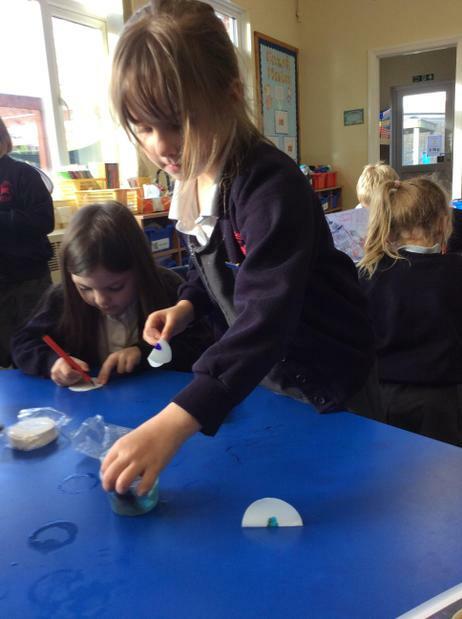 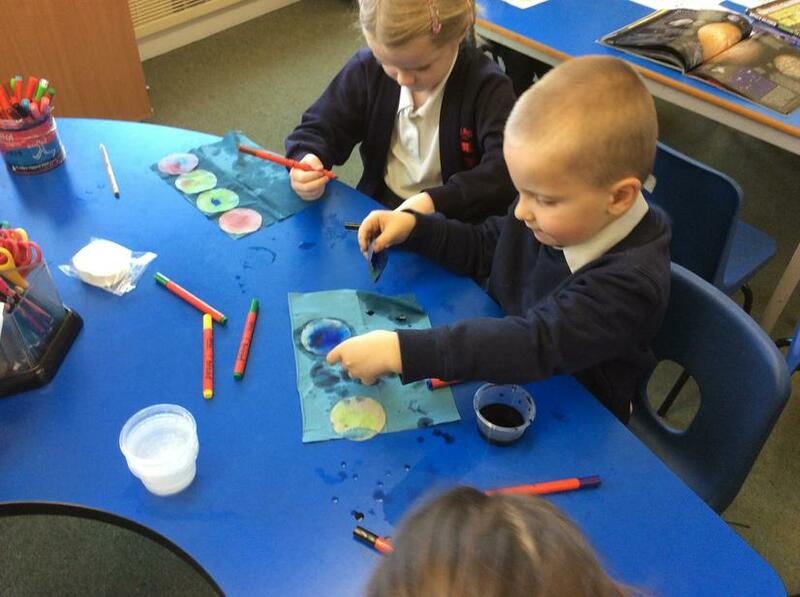 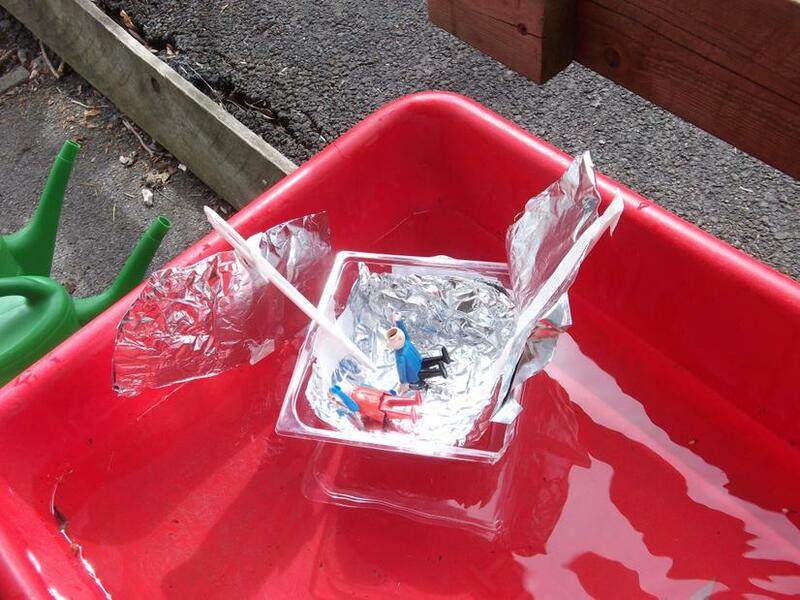 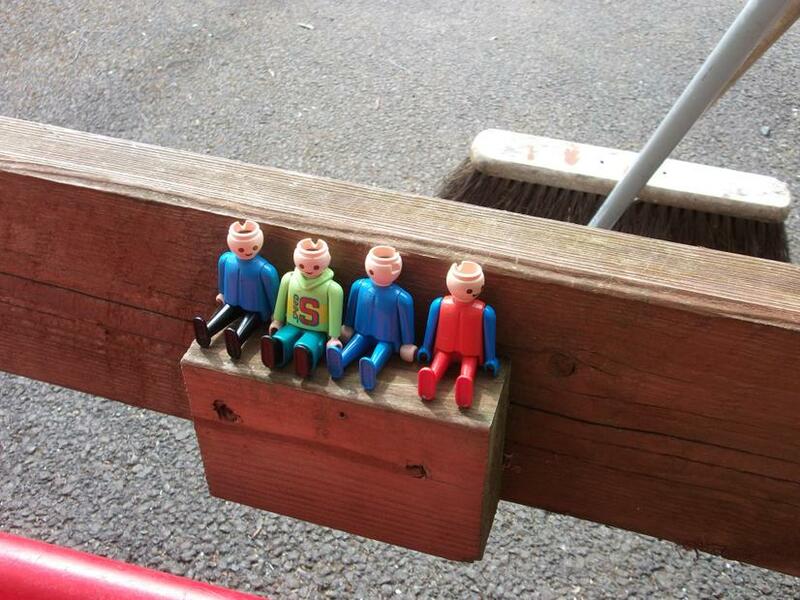 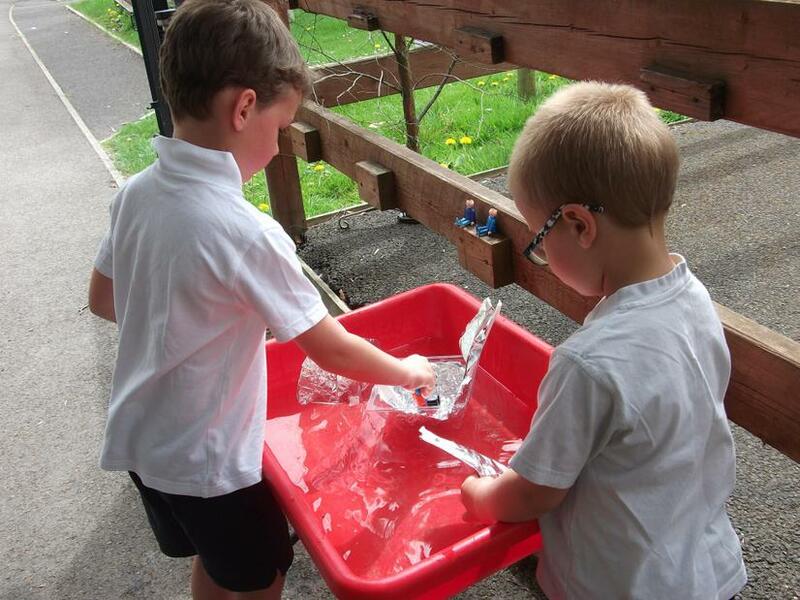 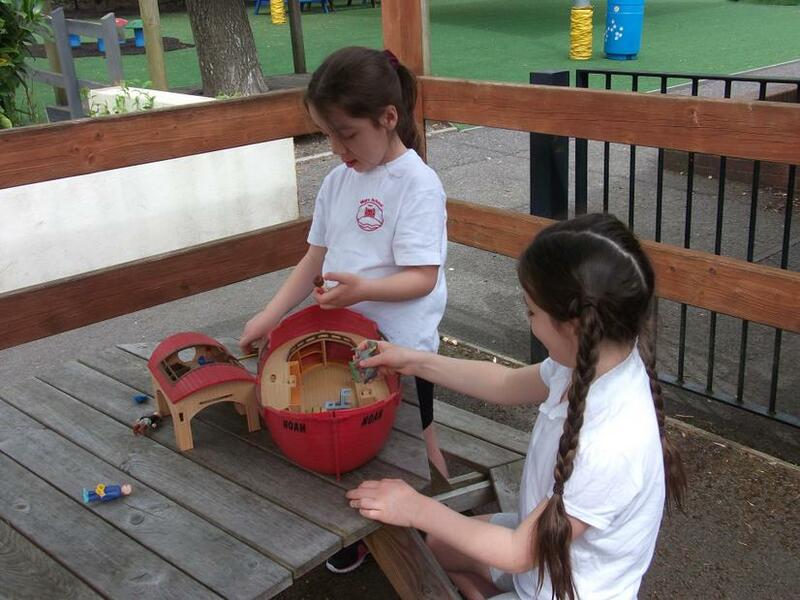 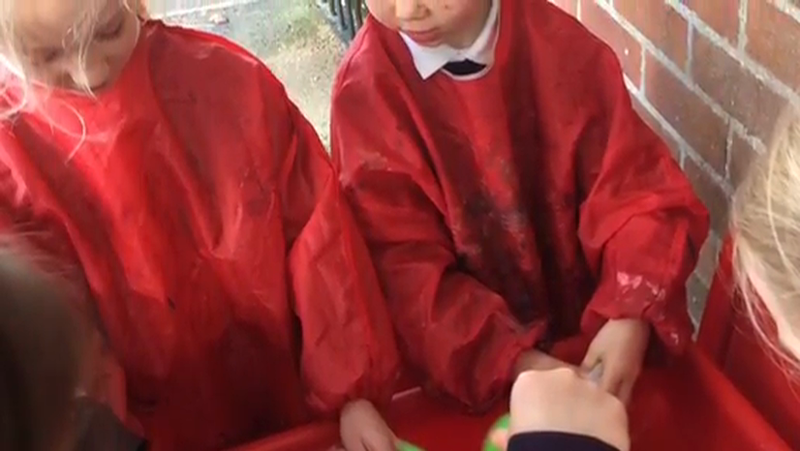 We saved them until this term as we thought the weather would be better to try out our designs in the water tray.